For the first time since 2006, the Republican party holds both Congress and the White House. This gives the GOP the authority to pass meaningful policy changes and win legislative victories, if they can agree on an agenda. Three things top the GOP’s to-do list for March: passing a budget, reforming the tax code, and repealing Obamacare. The big month officially kicks off on Tuesday, when President Trump will speak to a joint session of Congress for the first time since assuming office in January. The President will then deliver a budget plan and a replacement for Obamacare to the gathered legislators. Lawmakers will also be listening for cues on the wall Trump has promised to build on the Mexican border and on an infrastructure plan reportedly as large as $1 trillion. 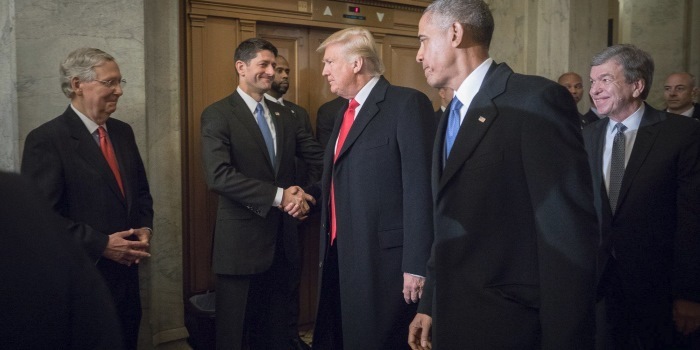 The first 100 days of a presidency are closely analyzed for success or failure, but both Speaker Paul Ryan (R-Wis.) and Senate Majority Leader Mitch McConnell (R-Ky.) have set a 200-day mark, a nod to how challenging it will be to move their ambitious agenda. Democrats in Congress have already signaled they will oppose Trump after his speech on Tuesday, no matter its contents. The new minority party has so-far delayed Trump’s Cabinet picks, many of whom have yet to even have their initial hearings, and Congressional Democrats have showed no signs of slowing their active opposition to everything President Trump has planned. Trump, though, thrives on controversy and counter-punching his enemies. It worked on the campaign trail, where he defied endless pundit predictions about his imminent demise and fended off countless distractions. March will be a time for the President to prove that he can govern just as well as he can campaign.